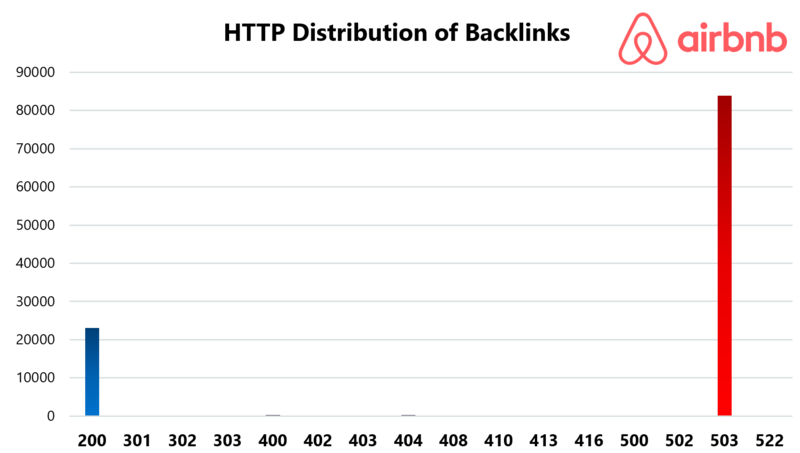 We analyzed 1 million backlinks via 10 random sample sets of 100,000 backlinks across 10 different websites from a variety of business verticals to determine how the link metrics from those backlinks would impact gains or losses in organic search visibility. Have you ever manually reviewed hundreds of thousands of backlinks one by one? I bet you haven’t — and it’s because you can’t. Well, maybe you can, but you would hate your life. So I don’t recommend doing that! What you should do is look for patterns, trends and commonalities among link metrics for a given URL to determine whether or not it’s an unnatural link. Pro Tip: Powerful crawlers and anchor text classifiers like URL profiler can literally save you hundreds of hours of grunt work. We’re in no way, shape or form affiliated with them, but we highly recommend checking them out! Danger List – These are the links that are extremely likely to be unnatural and should be considered for disavowal. Caution List – These are the links that could be unnatural and must be manually audited to determine if they are safe or dangerous. Safe List – These are trustworthy, authoritative links that are most likely to be natural. Getting more of these will help boost organic visibility. Link Schemes – These are large groups of similar links that are coming from the same source and are the most probable cause of site-wide links. Link Opportunities – Some websites (especially popular brands) earn natural, high-quality links without knowing it. 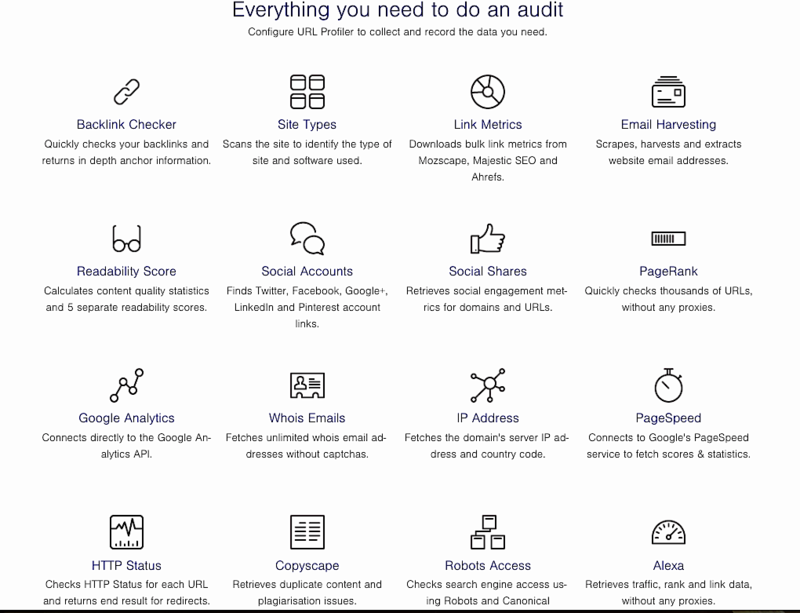 An audit will help you discover those sources so you can build relationships and earn more links. Link Equity Consolidation – In almost every case, there are authoritative inbound links pointing to 404 pages on any given website. Those 404 pages should be revived by implementing 301 redirects to a live final destination URL to reclaim the lost link equity. Free Bonus Download: Get our free SEO guide to learn how you can skyrocket your rankings, even in a competitive niche! Click here to download it for free. Majestic Citation Flow – Rates how influential a URL may be based on how many sites are linking to it, and based on a 100-point scale. Majestic Trust Flow – Predicts how trustworthy a page is based on the trustworthiness of those sites that are linking to it, based on a 100-point scale. Moz Spam Score – Rates the level of penalization risk associated with a given URL, based on a scale of 0 – 17 where any rating of 11 or higher is likely to be spam. Moz Domain Authority – An overall website rating that is calculated by metrics, such as linking domains, number of total links, MozRank, MozTrust, into a single 100-point logarithmic score. 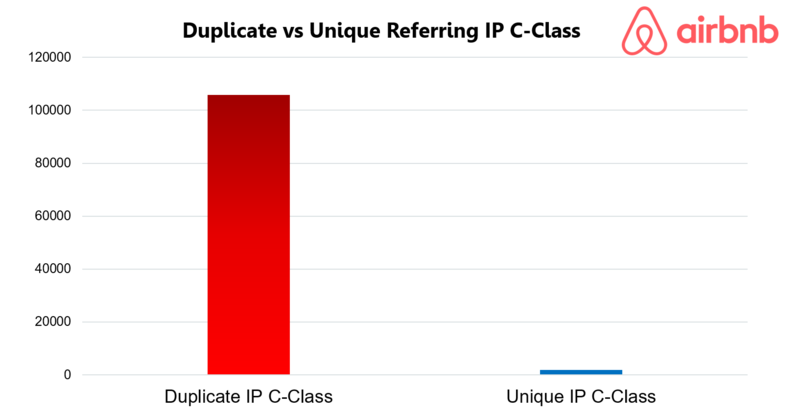 Ahrefs Referring IP C-Class Diversity – IP Addresses are divided into lettered blocks (AAA.BBB.CCC.DDD). The more referring C-Class Duplicates that exist within the link profile indicates that the site is likely to be engaging in link networking. Ahrefs URL Rating – Prediction score for how well a page is likely to rank in organic search results, based on a 0-100 scale. Airbnb is an online marketplace and homestay network enabling people to list or rent short-term lodging in residential properties. In plain English, it’s a site that allows travelers to gain access to unique homes, experiences, and places around the world. Long-Tail Traffic? Who the Hell Cares? 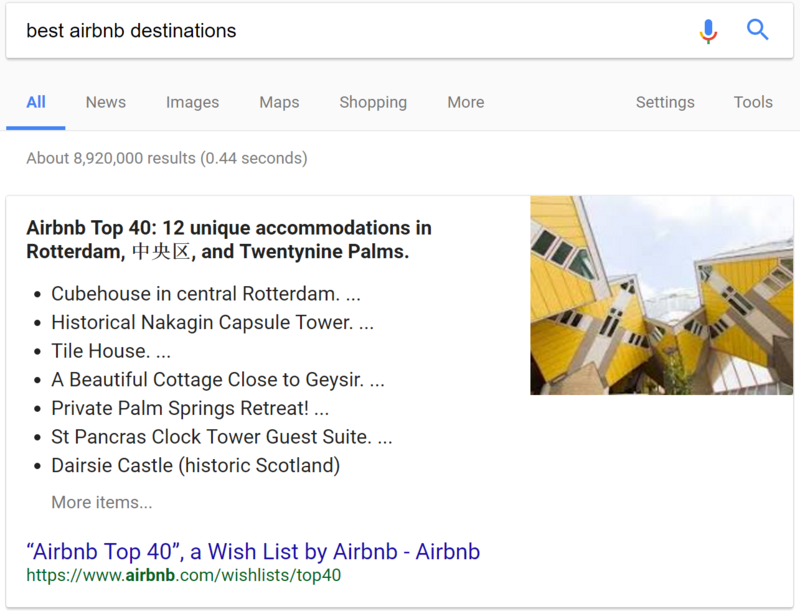 Before I even started to examine their backlinks, I noticed a big, fat, ugly 404 for “best airbnb destinations” — a query that is slightly longer tail, but higher intent. 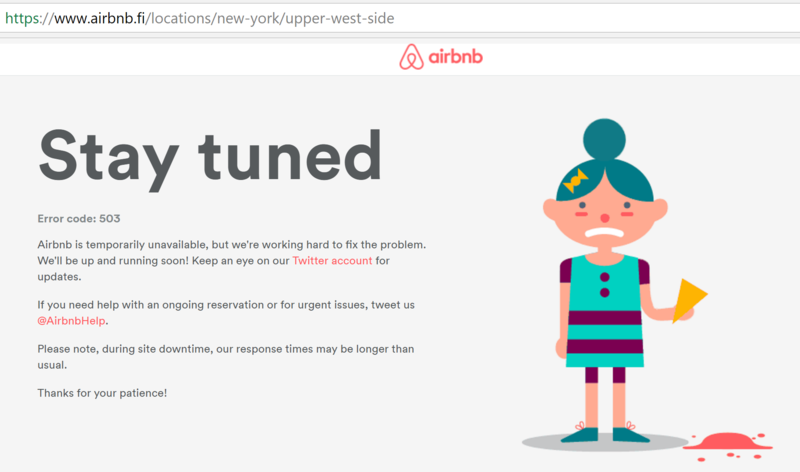 Airbnb should fix this 404 immediately! Link Networking from Their Own International TLDs: A sizeable portion of Airbnb’s links are simply links from themselves. They probably won’t get penalized by doing this, because Google is smart enough to recognize that the intent is not manipulation, it’s just simply the nature of their cross domain linking structure. 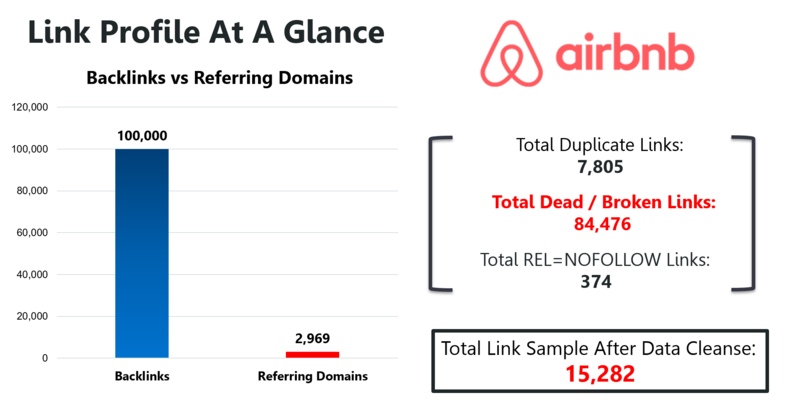 From my experience, it’s rare to see more referring domains at the higher end of the distribution, but Airbnb is one of those sites that can naturally attract links from authoritative domains. Here are a few examples. CBS mentioned Airbnb as a lodging option for travelers looking to attend the olympic games. This is the benefit of having a unique product with strong branding: natural link acquisition. 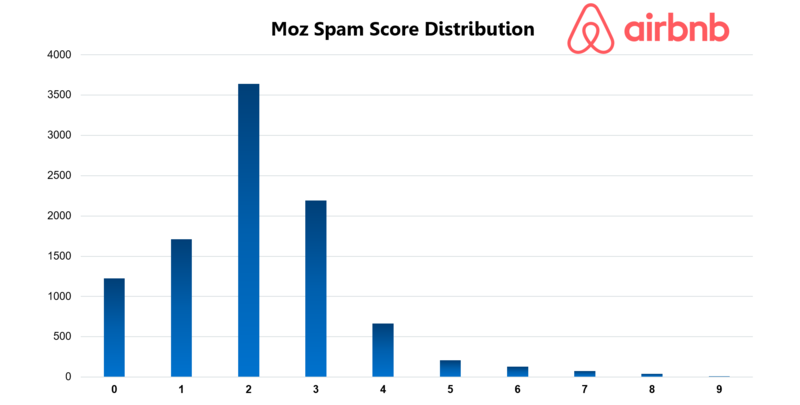 Despite a huge number of links from their own networks, Airbnb is very unlikely to face any risk of penalization from search engines. 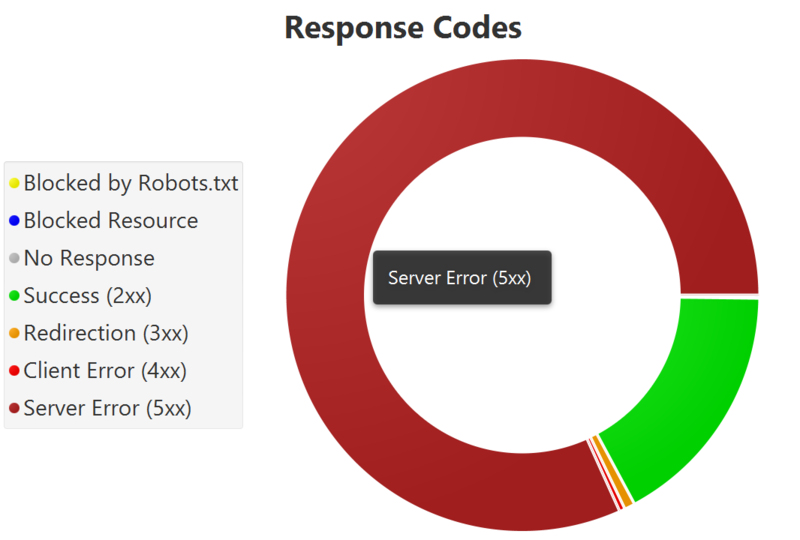 Our sample was able to identify a small batch of safe links and danger links, but more than half of the links could not be determined programmatically. It is recommended that these links be reviewed manually to determine their fate. 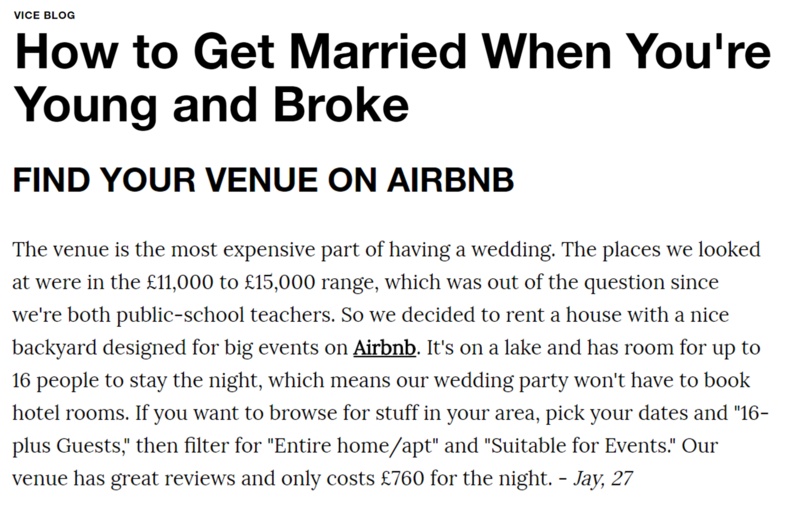 From the Vice backlink example, it’s evident that folks are looking for outside-the-box ways to get value from Airbnb besides room rentals. 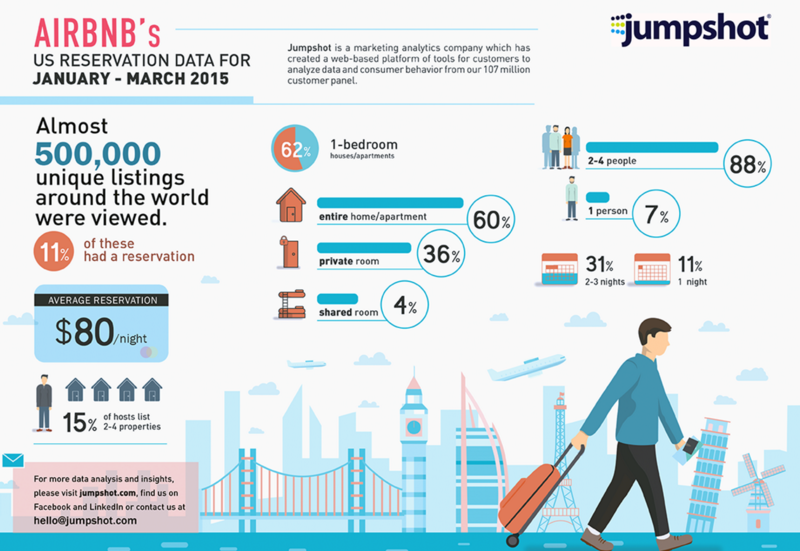 They could survey their customers or hold a contest for the most unique use of an Airbnb rental. P.S. 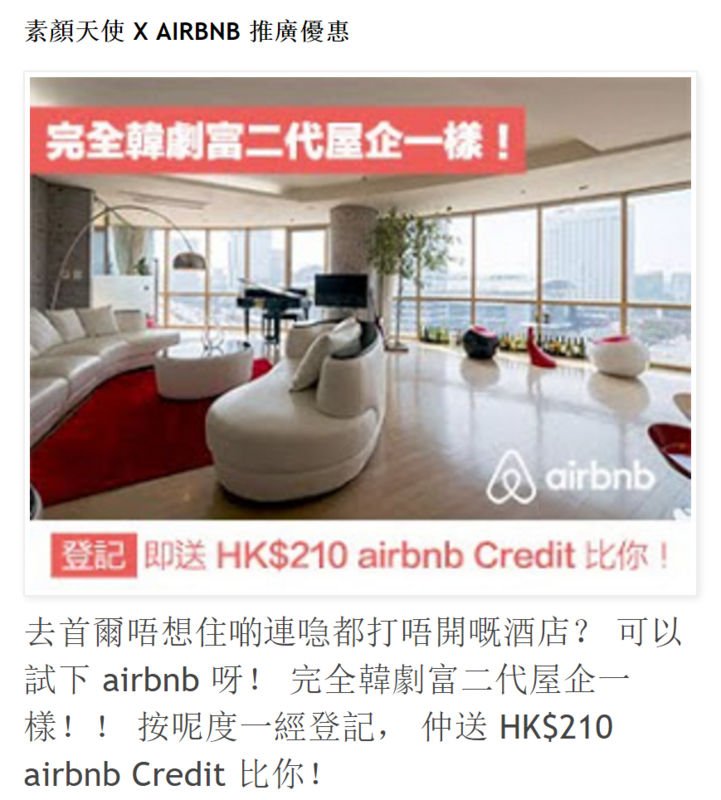 – They didn’t link to Airbnb in the post, which would be an easy link opportunity if Airbnb wanted it. 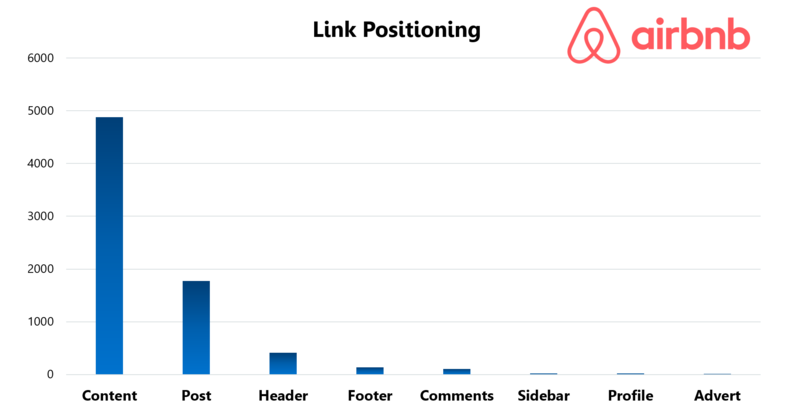 While Airbnb is at low risk for link penalization, there’s still a lot of opportunity to improve their Content Strategy. Airbnb is just now getting ahead of their competition, and should implement the recommended actions to remain ahead! Any SEO-savvy marketer with technical chops can likely implement these recommendations. If you’re a marketer looking to improve your link game, check out our ultimate guide to link building. If you’re not an SEO-savvy marketer or you just don’t have the time, Single Grain can help you! We’ve helped business of all sizes improve their marketing ROI, ultimately increasing revenue – check out some of our case studies here. Have you done any link audits lately? What’s your process like? Let us know in the comments below!